This is a rare and fine gilt shakudō and silver bracelet with an outstanding and unusual design of seven menuki attached by silver rings. 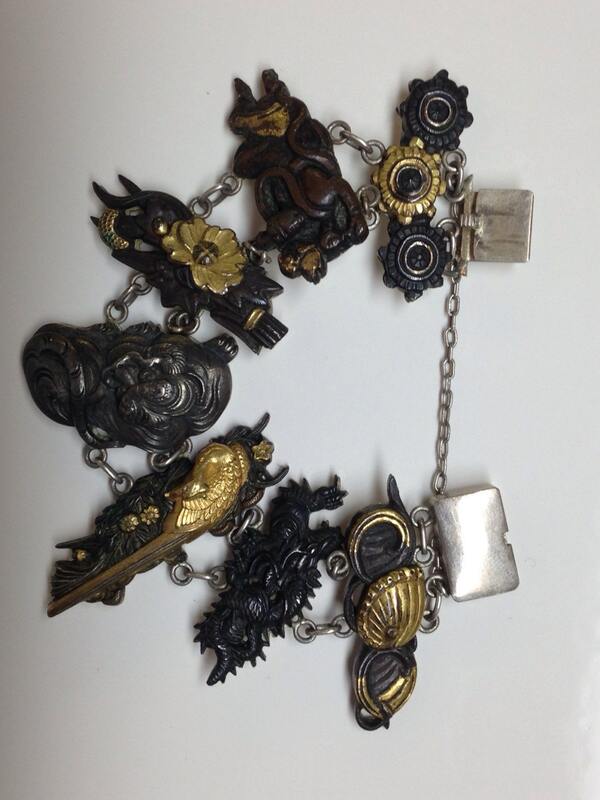 The menuki are affixed to pure silver backs. 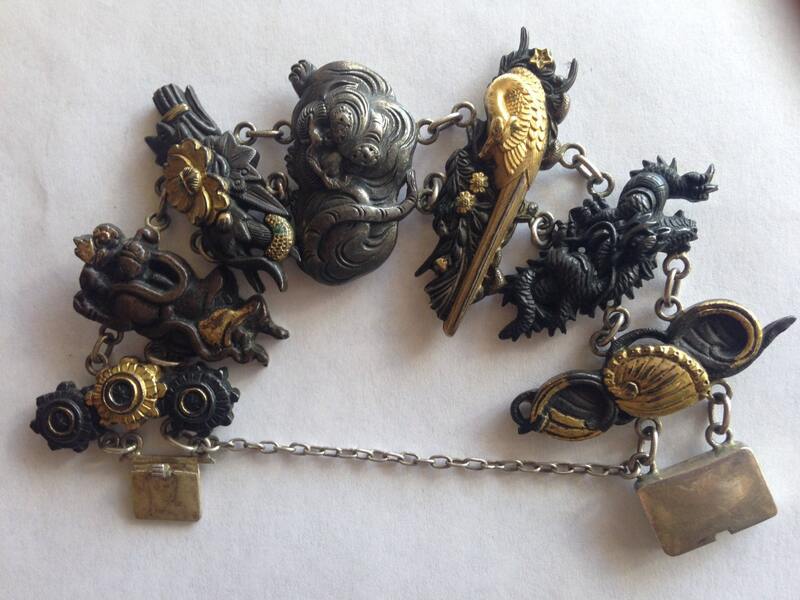 The menuki feature furled dragon, lion, crane, furawāarenjimento, a man wrestling a serpent, and others. 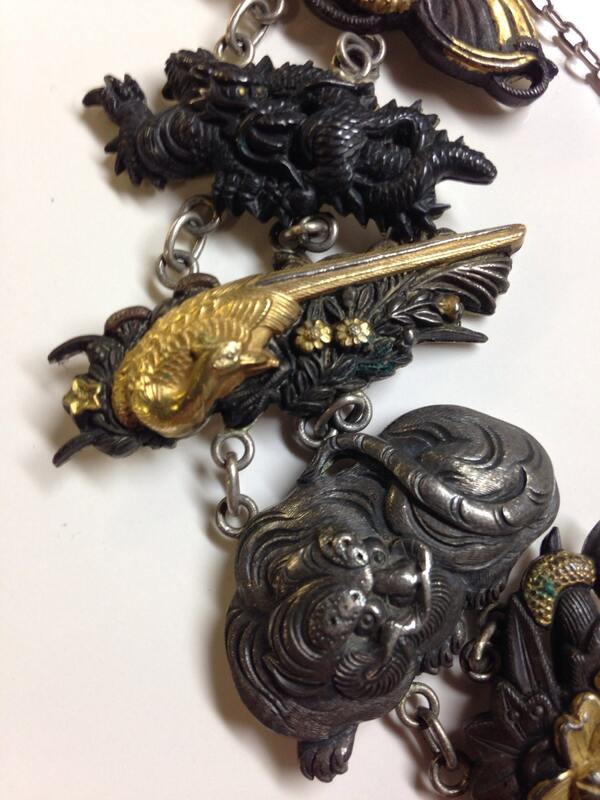 Each manuki adorned the hilt of a 19th century katana (samurai sword fittings). 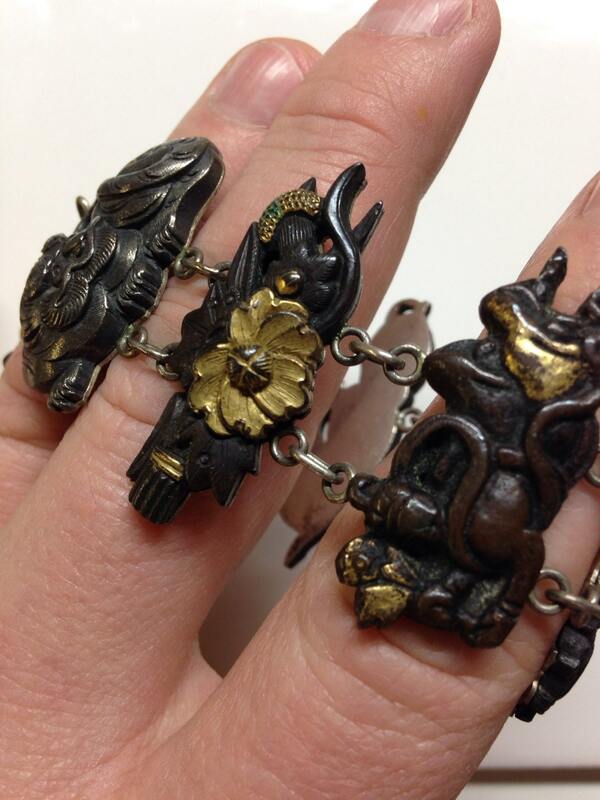 Menuki are sword ornaments placed on the tsuka (generally under the tsuka-ito) to fit into the palm for grip. These objects were made in the finest metal working traditions of the Japanese samurai. Most are made from a predominantly copper alloy with a percentage of gold (shakudō). This was then treated to produce the characteristic dark to black surface. Finally, these were selectively acid gilded. While there were once many metalworkers in Japan who were capable of producing swords and fittings, the techniques have mostly been lost to time. 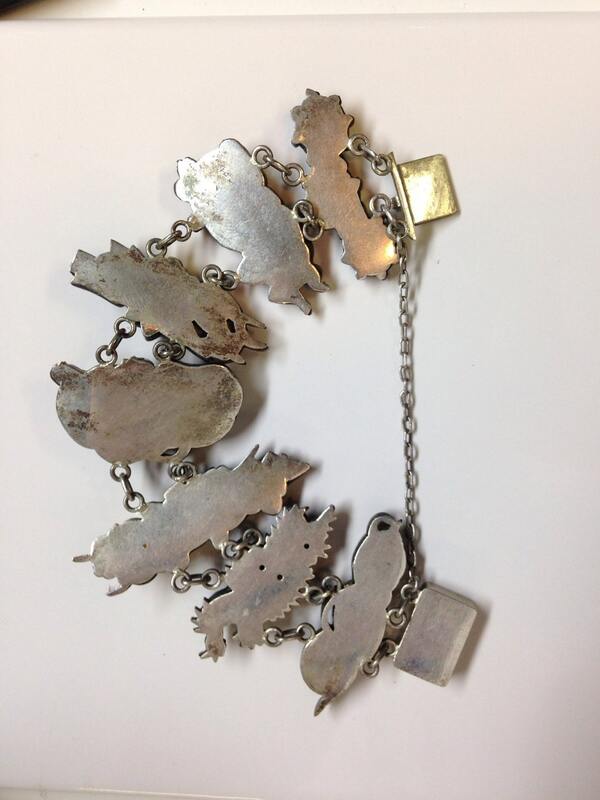 For that reason, there are no convincing reproductions of a bracelet like this. The samurai who carried their decorous katanas were members of the powerful military-nobility caste of Japan until they were abolished in 1873 following the Battle of Shiroyama. This was a period of great decline for these noble men many of whom suddenly found themselves plunged into poverty. At that time, the superbly crafted swords were discarded sometimes even used to line wagon wheels. It was during this period (1875-1910) that the menuki and other sword furniture were recycled into jewelry pieces and sold to the tourist trade as there was no other available source of income. As they wear, the reddish copper color comes to predominate, so this is a good way to judge how well preserved a menuki is. These are exquisitely detailed. This piece weighs about 70 grams. The bracelet has an inner circumference of about 172mm (6.7") but can be made larger. The bracelet is about 43mm (1.7") across. A very fine piece and believed to be the best example available at the time of this writing.